Teresa Giudice Drops Divorce Bombshell During Luann de Lesseps' Show! Teresa Giudice Divorce On The Horizon! Teresa Giudice stirred up controversy on Monday night, during Luann de Lesseps’ cabaret show with a divorce bombshell! 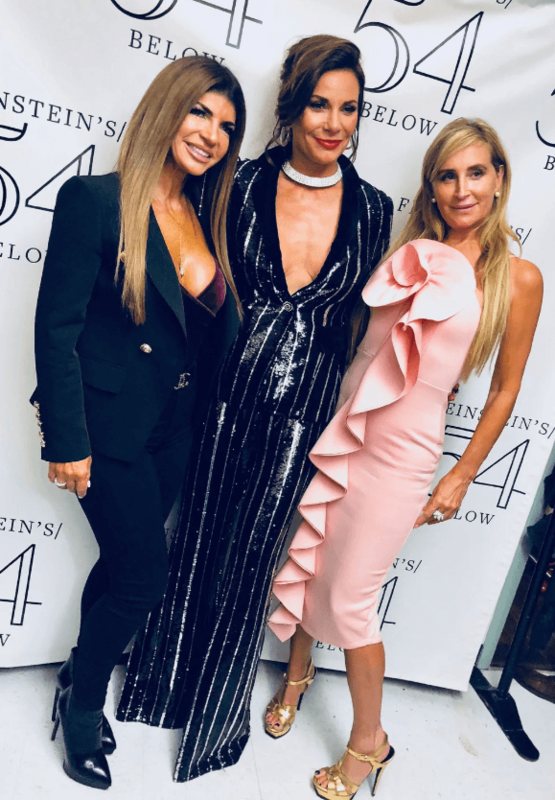 The Real Housewives of New York City star put on a dramatic performance that included a Q&A portion — Giudice, 46, used that opportunity to ask the #CountessAndFriends host a very pointed question about her divorce from Tom D’Agostino. “Was it difficult going through a divorce on TV?” Giudice questioned her fellow Bravoleb. “You know, I knew it was time to go. I was solid in my decision. When I’m done, I’m done,” said de Lesseps, 53, nearly one year since her divorce was finalized. Teresa Giudice’s divorce inquiry is no shocker. The Garden State mom has not visited her incarcerated husband, Joe Giudice in over a year, has a rumored boyfriend, and skipped Joe’s recent appeal hearings to fight his deportation back to Italy. As reported, Joe’s deportation from the United States to his native Italy was ordered on March 14, 2018 by US Immigration Judge Ellington. MUST READ: Teresa Giudice Abandons Joe In Prison — Refuses To Take His “Verbally Abusive” Calls From The Slammer! The Real Housewives of New Jersey star has admitted to troubles in the couple’s marriage on the Bravo reality series. And not visiting her husband in prison while he serves 3 years for fraud convictions. CLICK: Lonely Jailbird Joe Abandoned By Teresa Giudice and The Kids On Christmas! As AllAboutTheTea.com readers know, the 46-year-old reality starlet met with divorce attorney, Loren Laforge-Kyriakoulis, back in January. Is divorce on the horizon for the Giudices? Share your thoughts on Teresa Giudice’s divorce question during Luann de Lesseps’ cabaret show. Sound off in the comments! Joe Giudice’s Deportation Temporarily Delayed Due to Emergency Petition! ‘RHOC’ RECAP: Kelly Dodd Attacks Emily Simpson’s Husband In Drunken Tirade! Kelly Dodd and Emily Simpson Fight — ‘RHOC’ Fans Take Sides!